In addition to the treatment itself, we offer you the possibility of another expert opinion from abroad with specialists who specialize in the area of your diagnosis. To get a treatment abroad contact us through our contact information. Within 3 days of receiving your full medical documentation, we will contact you with full details regarding your requested treatment, including detailed information on pre-operative tests required, suitable dates for treatment, and other important information. Regarding your wishes and needs for consultations with doctor, we can arrange a short trip to Croatia where you can meet the doctor and view the hospital facilities which you are considering for your treatment. Once you have made your final decision about the treatment, we will finalise your booking. The agreed date will be assigned, an itinerary is prepared and the pricing quotation finalised. After receiving it, it is necessary to pay in advance for all additional services we previously agreed (accommodation, transfer, etc.). That will be taken as an advance payment for reservation of whole service we agreed. 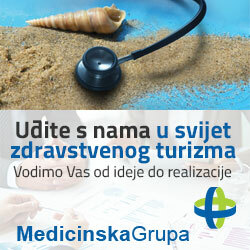 The difference in price is for the medical treatment which you pay directly in the medical facility. After receiving an advance, we are sending you a confirmation and voucher for all services. Arrival by bus, train or by airplane – if requested, you will be welcomed on the station and shown to the hotel. Otherwise, we arrange the meeting point and then take you to meet the facility and staff. Arrival by personal transportation ew arrange a meeting point in advance and then accompany you to the facility. On your treatment day you will be shown to your hospital room. You will be shown all the facility’s rooms and you will be assured of total peace of mind prior to having your treatment. You will also meet anaesthetist and the nursing staff who will be responsible for looking after you during and after your treatment. Once your treatment has been completed and you are discharged from the hospital, you will be escorted to your hotel where you will stay during your recovery period. If necessary you will continue any physiotherapy and rehabilitation during this period. You will be given contact details of the hospital, doctor and nursing staff. If you would like to do some sight-seeing or excursions then we will be happy to organize it for you. You will be accompanied to the airport by a representative from the agency. Where required, special assistance will be arranged for your journey home. You will be given 7 day’s worthof medication together with full medical notes detailing the treatment given which are to be passed to your GP so that your medical records are all kept fully up to date. If at any stage upon returning to your home you have any questions or queries relating to the actual treatment, you can contact your doctor at any time by phone or e-mail or you may contact CroMedical Network and we will arrange for the doctor or for one of the hospital staff to contact you by telephone at a time suitable to you. Once you are back home then one of CroMedical Network’s staff will contact you to ensure that you were satisfied with the service provided.We will also post to you a Patient Feedback Questionnaire which we would kindly ask you to fill in and return to us. This helps us to ensure total patient satisfaction by ensuring that we are meeting our patient’s requirements in all aspects of our service.